I have three active grandsons that I love to babysit several days a week, and I like to keep them busy with lots of activities that are enriching and possibly educational. This summer I will watch the grands, Tigger (8), Kona (6), and Tahoe (4), for several weeks in August before the two older ones return to school in the fall, and I wanted to create an in-home day camp experience for them. I decided to plan a variety of day-camp-type activities by choosing a theme and planning activities for each of the eight Multiple Intelligences when designing the day camp. I also wanted some academic focus embedded in the activities I chose. We really love our bikes in this family, and the grands are no exception. Their father, uncle, great uncle, and grandfather ride their own bikes on a regular basis, so the grandsons have great mentors. Of course, the grands all have bikes (although Tahoe still has training wheels). 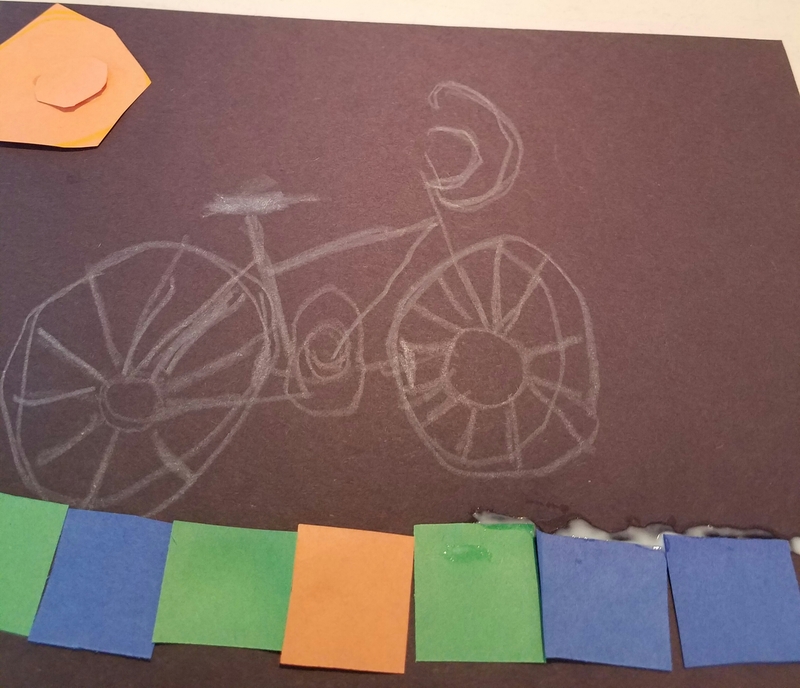 Since my grandsons have lots more time to ride their bikes in the summer, I planned some fun “day camp” activities for them to enjoy their bikes and learn more about bike riding. The weekly schedule: Each day I will “dip into” the Read Aloud Book (see Linguistic Intelligence), have the grands ride their bikes (see Bodily-Kinesthetic and Naturalist Intellgiences) and have them engage in at least two other activities a day (listed in the other intelligences). By the end of the week I will make sure that I have offered at least one activity from each intelligence so that all eight intelligences are covered by the end of this day camp unit. For my readers, I will also mention any academic focus I plan on integrating into any of the activities. Read and discuss books- It’s always nice to include a few books as part of the day camp experience, so I usually start my planning by getting some books for the grands at the library. Besides the Read Aloud Book, I will probably read and discuss some of these other books sometime during the week as time allows. Safety on Your Bicycle by Lucia Raatma is a book I definitely want to read and discuss with my grands as part of the day camp experience. It has great pictures and easy instructions for safety rules including the proper way to wear a bicycle helmet, how to check your bicycle for safety before you ride it, dangers on the road, intersections, and traffic rules. Academic focus: Vocabulary-This book has several important vocabulary words that the grands need to learn including chinstrap, reflector, and signal. Text features-I can also use this book to talk about text features such as Table of Contents and Index. Pedal It! 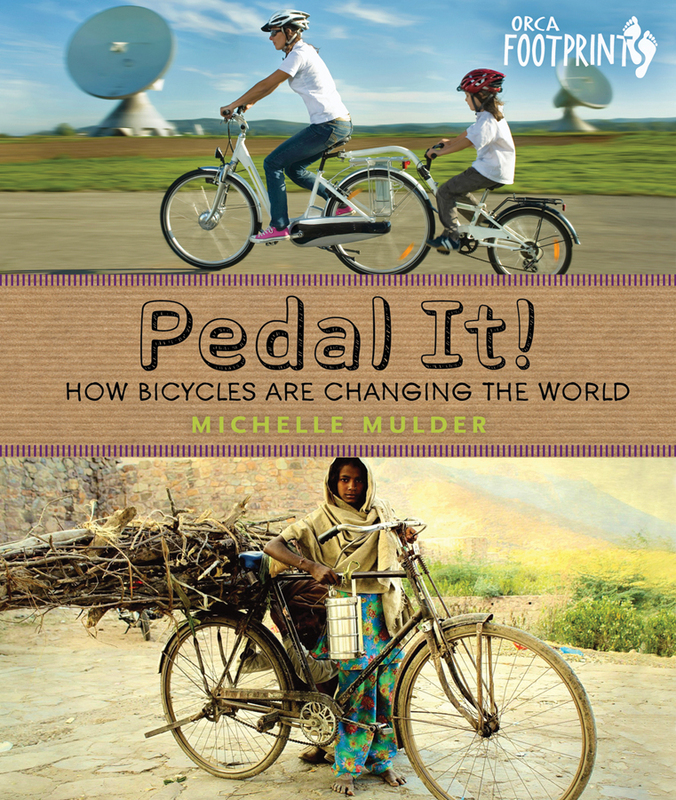 How Bicycles Are Changing the World by Michelle Mulder has tons of information on bicycles: their history, their development, how people use bicycles in their places of work, and how bicycles are making positive changes in the quality of life for people throughout the world. This book includes many photographs and factoids that will catch the eye of many bike enthusiasts (Grandpa Jim was shown this book and couldn’t put it down.). It is written for grades 3-7, and is so full of information, I will read it to my grandsons in small sections. Academic Focus: “Book Walk”-Since this book may be too overwhelming to read in its entirety, I will show the grands how to do a “Book Walk” with it. That means we will look through the whole book first before reading it by checking out: the front and back cover, table of contents, chapter titles, and illustrations. Then I will have the grands choose a section or page of the book which interests them the most and read those pages to them. 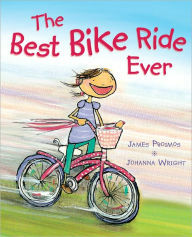 The Best Bike Ride Ever by James Proimos and Johanna Wright tells the story of Bonnie and her enthusiasm for her new bike. Bonnie loves her new bike so much that she immediately begins riding it over imagined bridges, mountains, canyons, and elephants. Unfortunately, Bonnie hasn’t learned yet how to stop on her bike. This is an adorable story that makes the point that learning safety rules before riding a new bike can be a very good thing to do. Academic Focus: Predictions-As Bonnie takes off on her new bike, I will ask the grands what they think will happen to Bonnie as she continues to ride her bike. How do they think the story will end? 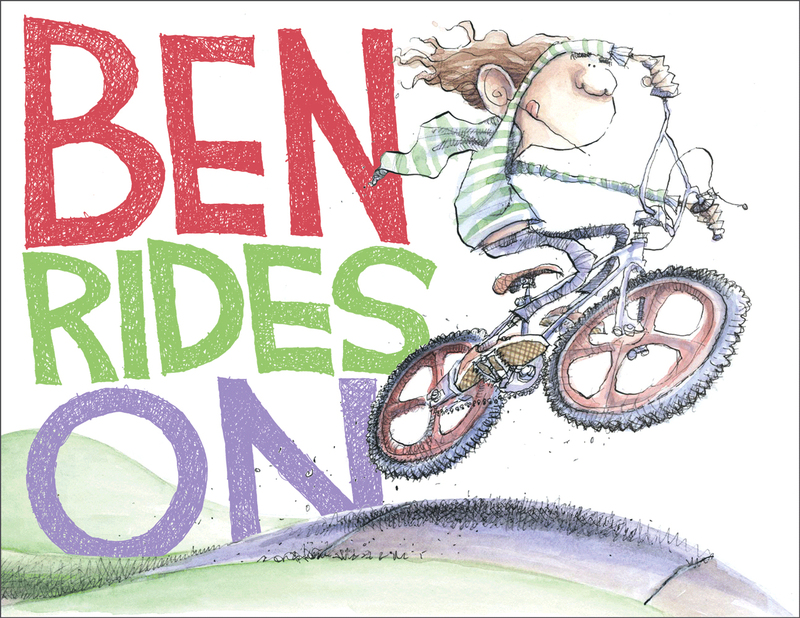 Ben Rides On by Matt Davies is a cute book about a third grader, named Ben, who loves to ride his bike to school. But once he arrives at school, another much bigger third grader, Adrian, decides he would like to ride Ben’s bike too. As Ben tries to retrieve his bicycle, he has to encounter some hard decisions to help Adrian who gets into a scary predicament. Academic focus: Character traits– I will discuss how the reader learns about the characters in a story by finding the following clues: what the characters say, what they do, and what others say about them. I will guide the grands to discuss the characters of Ben and Adrian using those three types of clues. 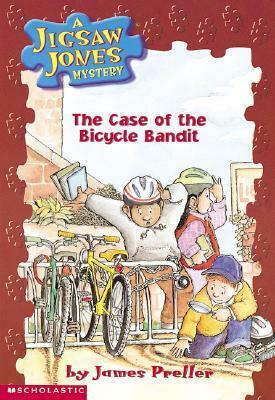 The Case of the Bicycle Bandit: A Jigsaw Jones Mystery by James Preller is book #14 in this series of mystery stories. In this chapter book, which is good for grades 1-3, Jigsaw and Mila investigate the disappearance of Ralphie Jordan’s rusty, broken down, old bicycle that was chained to a bike rack at the library. The story is told with humor and lots of suspicious characters. Academic focus: Details-I will discuss which details in the story helped Jigsaw and Mila to solve the mystery. Independent Reading-I also hope that Tigger will want to read this book on his own afterwards since it is written at his current reading level. On my last bike ride with my family, we ….. If you could design a vacation for your bicycle, where would it go? Measurement: Using a tape measure, I will have the grands measure the length and height of their bicycles and the different parts. Graphing: I may have the grands compare the height and length of their bicycles by making bar graphs after they finish the measuring activity. Radius and Diameter: I can introduce the concept of radius and diameter by having the grands measure them on the wheels of their bikes. I may even introduce the formula for finding the diameter of a circle using the radius by helping the grands analyze the measurements they took for their wheels. Helmets on, C’mon let’s go, We want to ride our bikes. Helmets on, C’mon let’s go, We’ll look both right and left. Helmets on, C’mon let’s go, Obey all traffic signs. Parks: There are many different playground/park areas in our vicinity, so we have lots of choices for their bicycle riding. Some of these parks are nearby and the boys can ride their bikes to them, under the watchful eye of an adult, of course. Other times, we’ll put their bikes in our car and drive them to one of the larger parks in our area that has a bike path next to a stream. 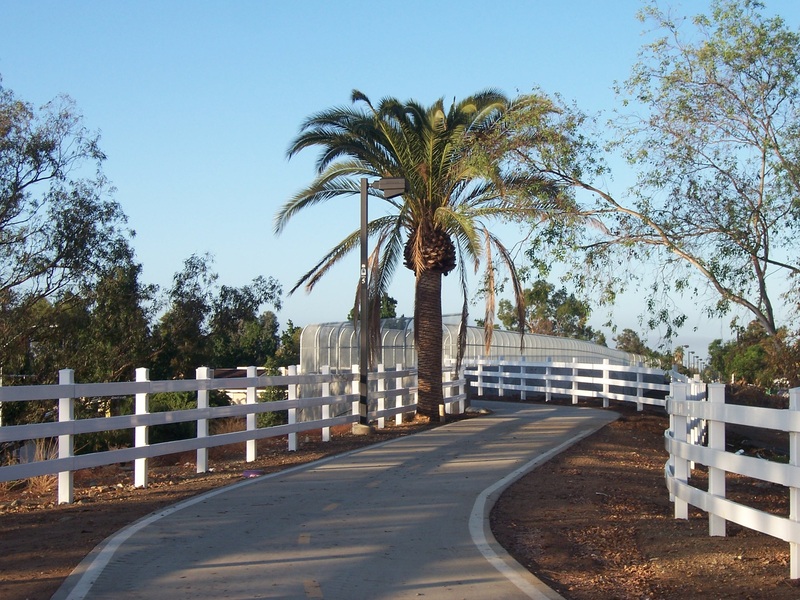 Bike Trails: I also found some local bike trails on the internet that we might try. Cul De Sacs: There is a cul de sac near us where the grands can ride their bikes. Empty parking lots: Some of the schools and churches in our area have empty parking lots in the early evening hours. They are often good places to allow the grands to ride without the worry of traffic. Riding their bikes in our backyard. Reading books about bicycles: I will have the books I used during the week available for the grands to use and look at throughout the week. Such good memories and fun times! Your grands are blessed! Thank you so much. I am the one who is blessed to have these wonderful grandsons in my life. Oooh, the grands would love an entire theme on dogs. I’ll have to think of that for the future. PJ just got a bike for his Birthday! I really love these suggestions! Thanks. I hope PJ has a wonderful time riding the new bike! What fun and also educational activities for your grandsons! They must love to come to your house. 🙂 Thanks you for sharing at #LMMLinkup! Hi Nancy! I’m back to tell you that I’ve chosen your post as my favorite of the week and will be featured on my blog for this week’s Literacy Musing Mondays! Thanks so much, Gayl! I just got back from a camping trip and saw this news. I am looking forward to sharing these books with my grandsons next week. Love your blog! Always need ideas for great books to read with the grands (and I have to admit that my husband and I really enjoy reading the wonderful literature that is available for children).